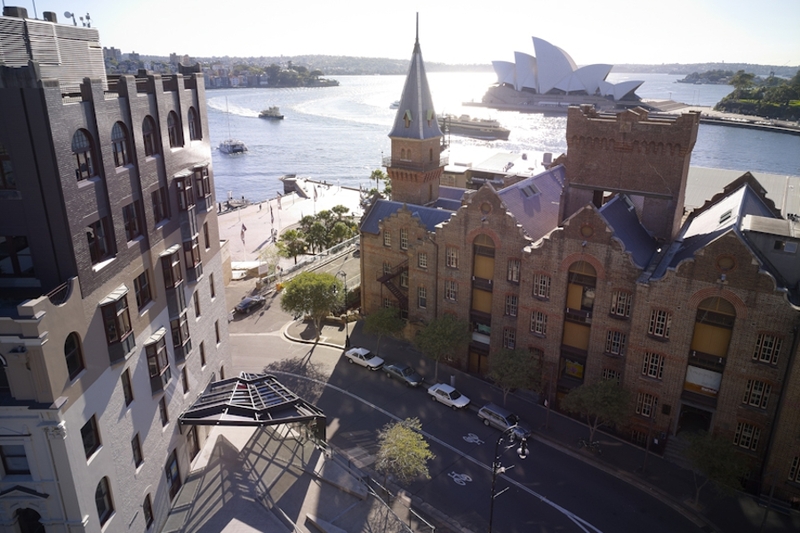 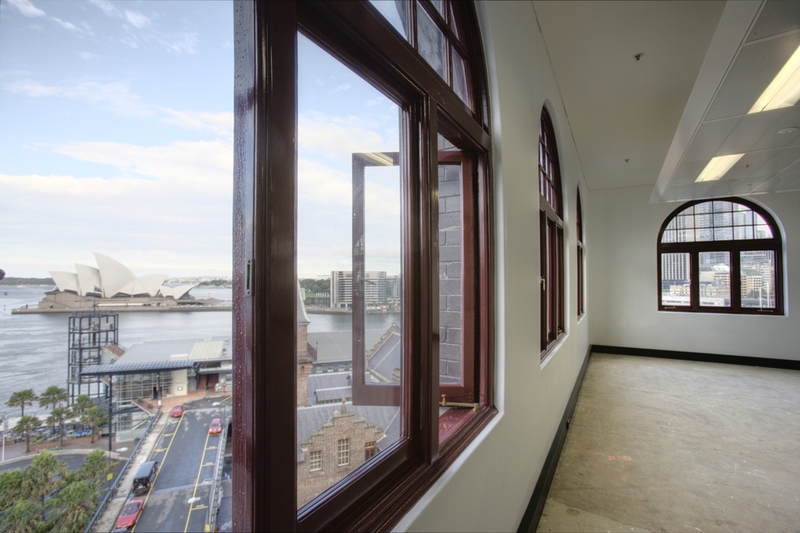 This refurbishment of a state listed heritage building has set a new benchmark for contemporary work in Sydney's historic Rocks precinct. 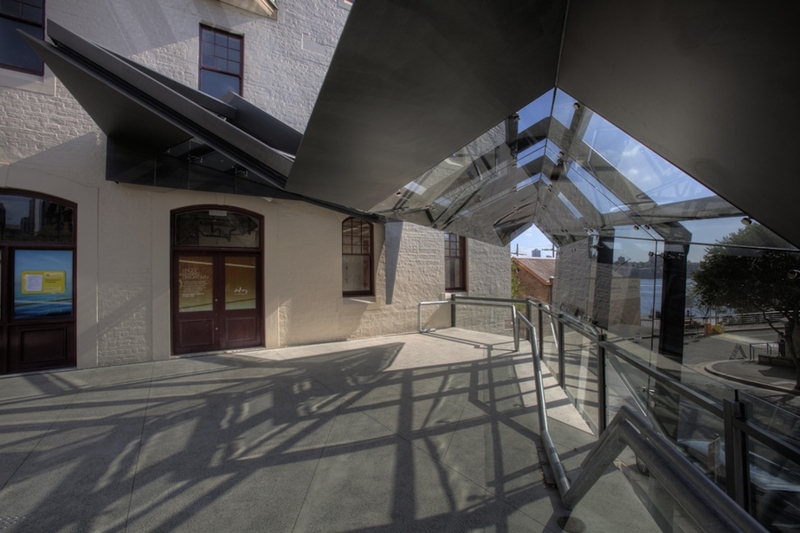 The existing building is in 2 parts, both of which have heritage listings with the heritage fabric consisting of the perimeter walls. 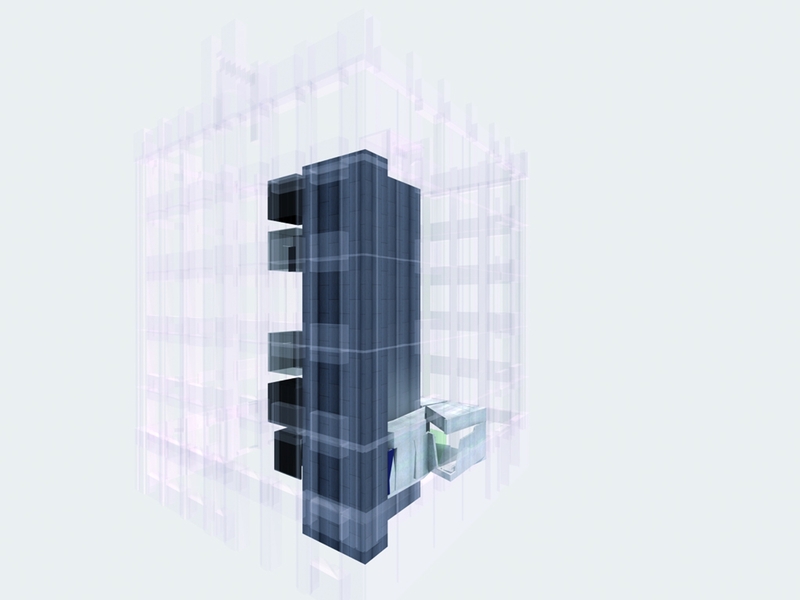 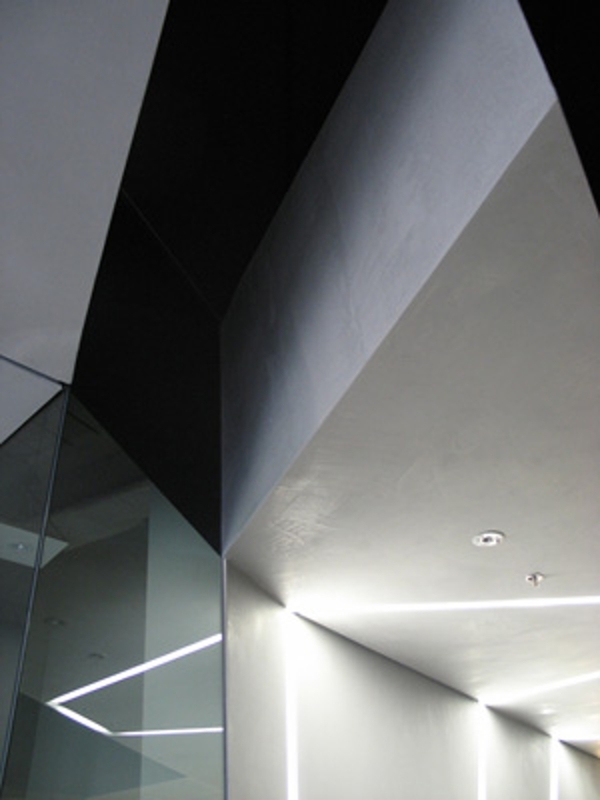 Two key interventions - one inside these walls and one outside - became the primary areas of focus. 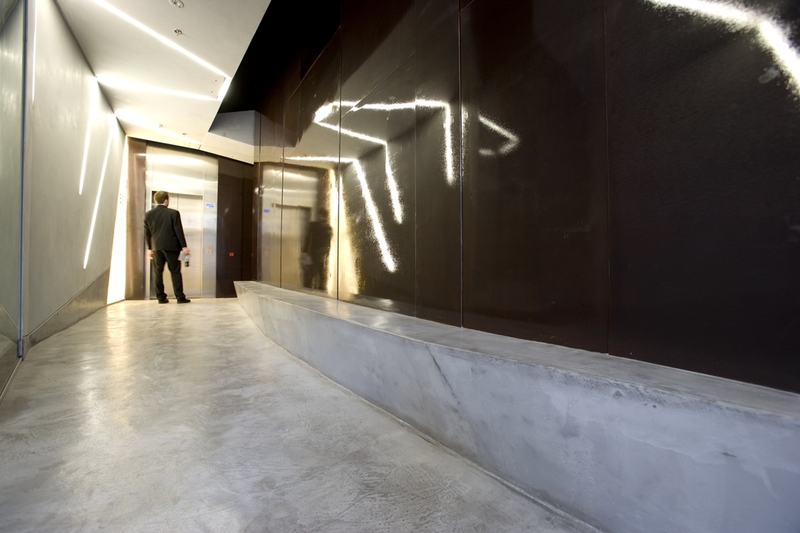 Internally, the foyer was conceived as a bridge that leaves George Street to connect with the existing lift core. 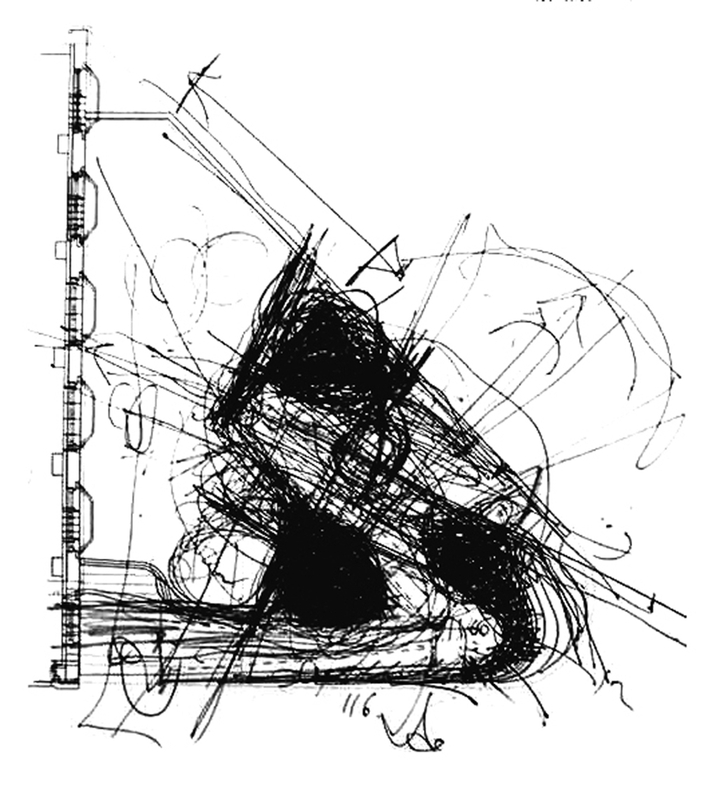 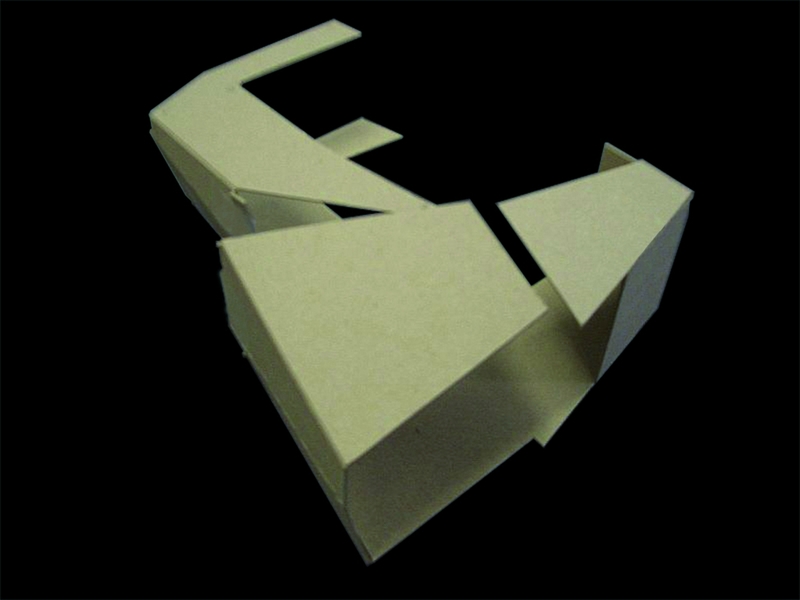 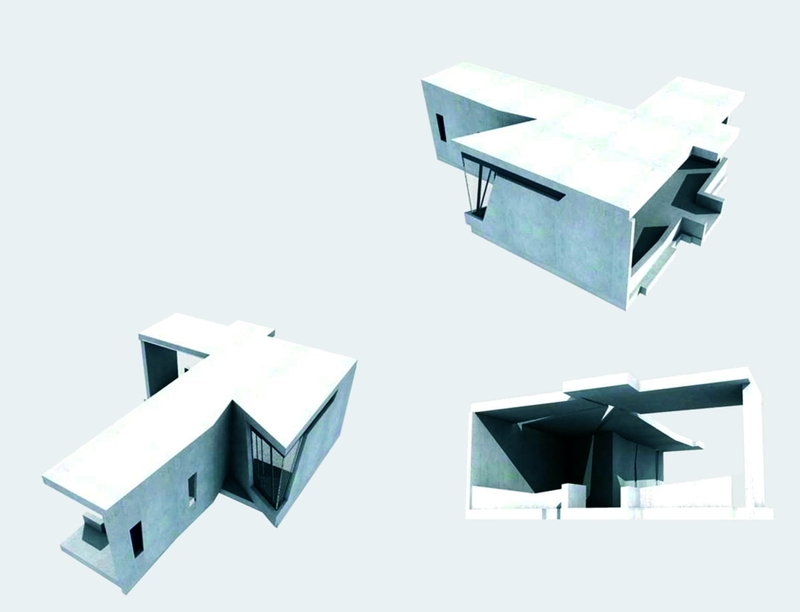 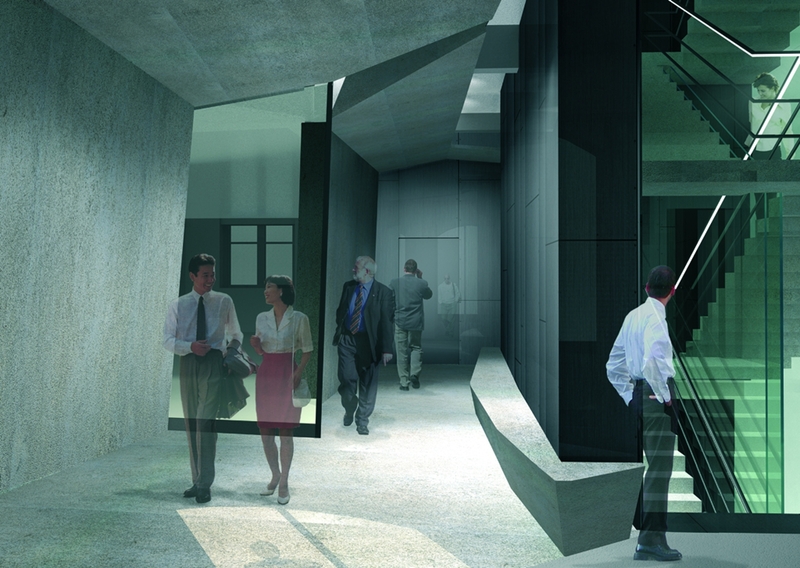 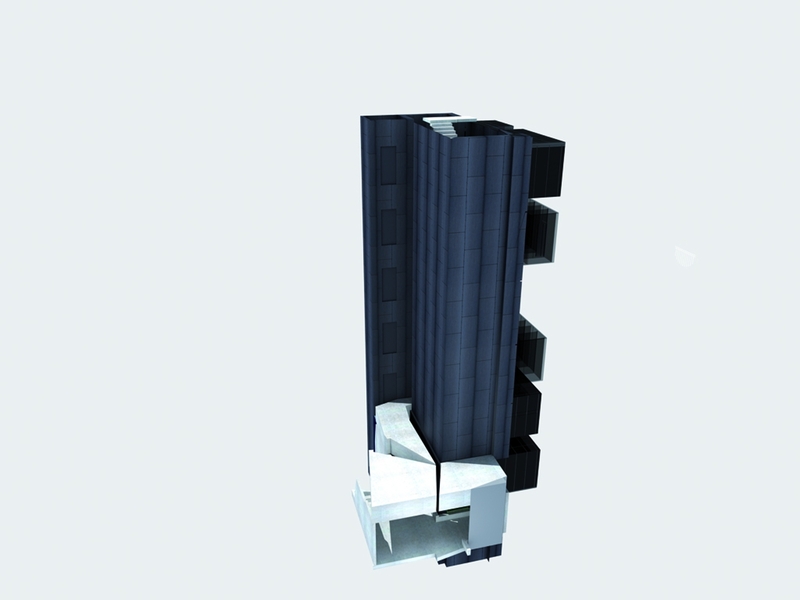 Initial investigations of a Scarperian "tub" gradually evolved into a singular folded concrete tube that provides a dramatic "pause" between street and office. 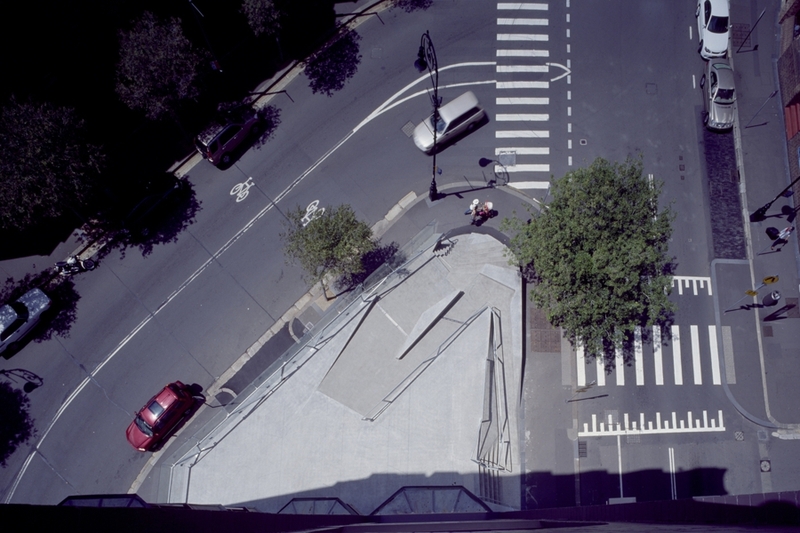 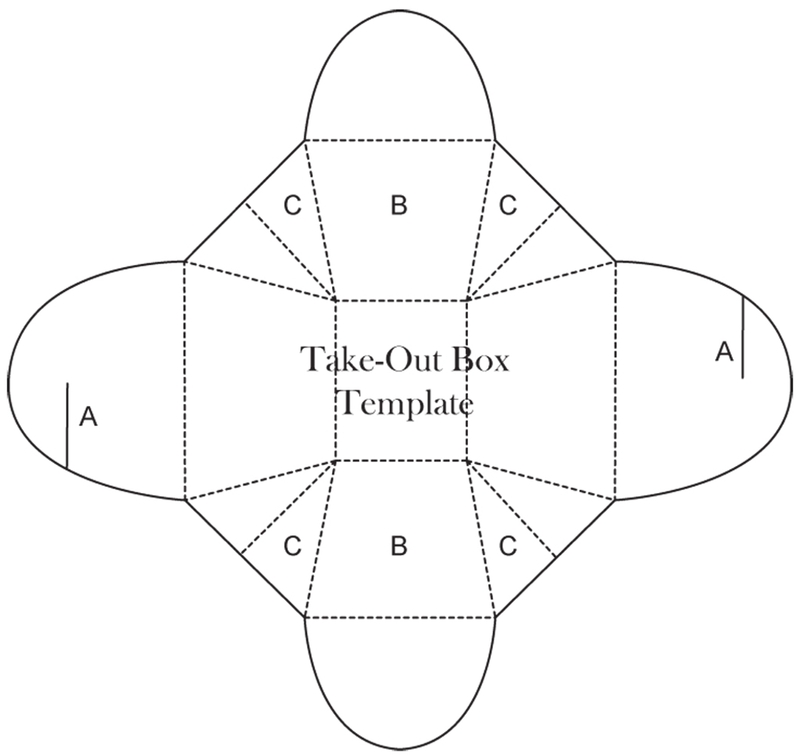 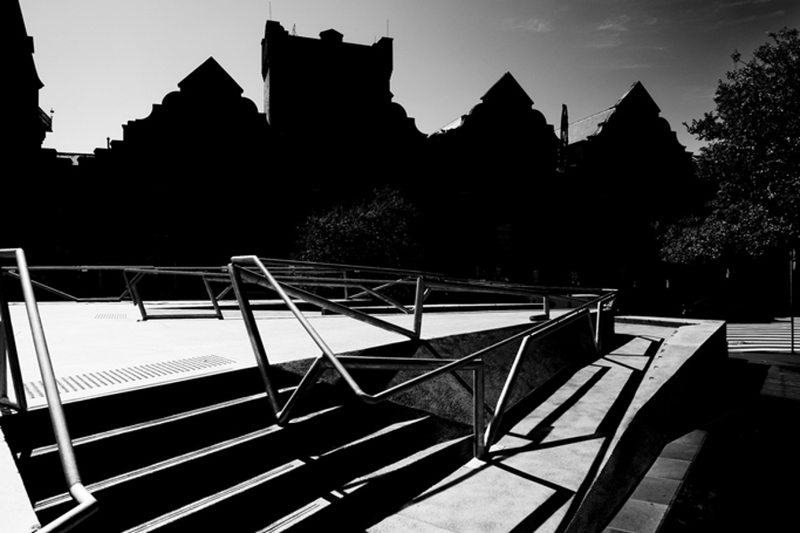 Externally, an existing triangular remnant of street configurations was developed into a new public space. 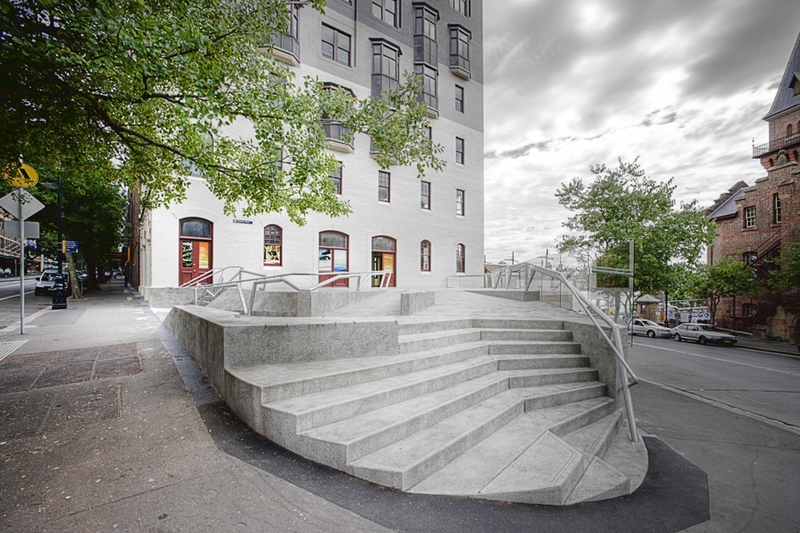 While part of the project, this space was understood separately to the building as part of the complex cut and folded landscapes characteristic of the Rocks area. 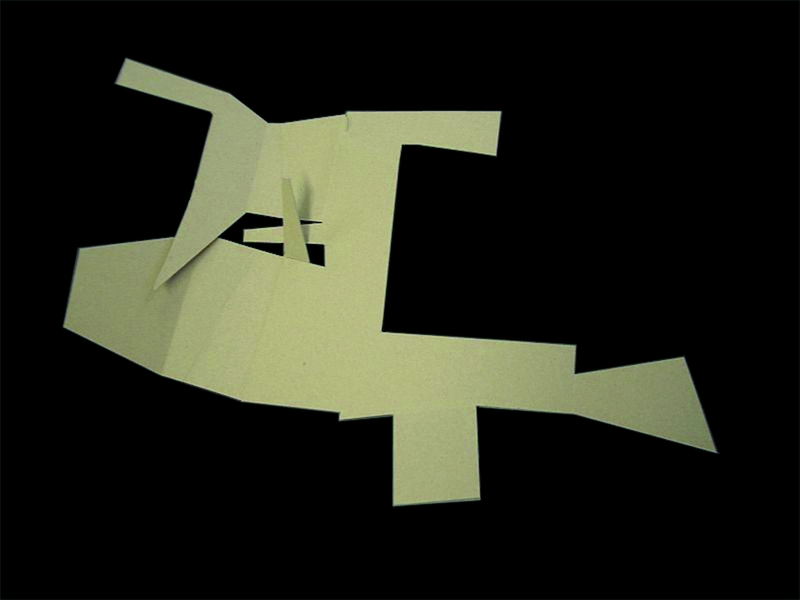 An analysis of the existing topography and the need for new connections led to a morphing exercise such that the various levels were reconnected in a single fluid plate. 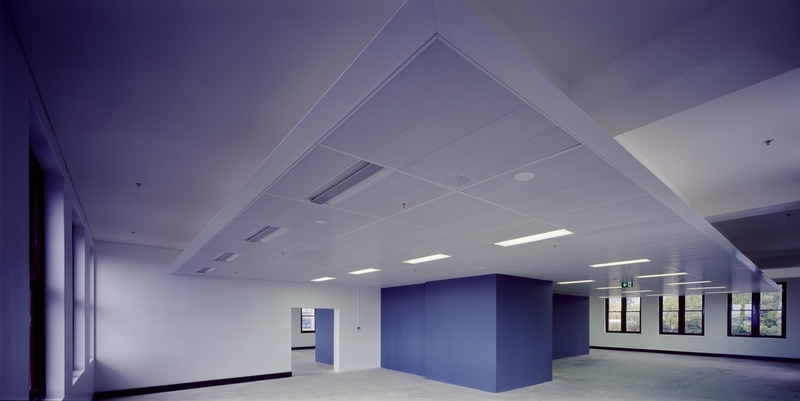 A small canopy sits in the north-east corner of the space which has similarly evolved from a mapping of sun, wind and tenant use requirements. 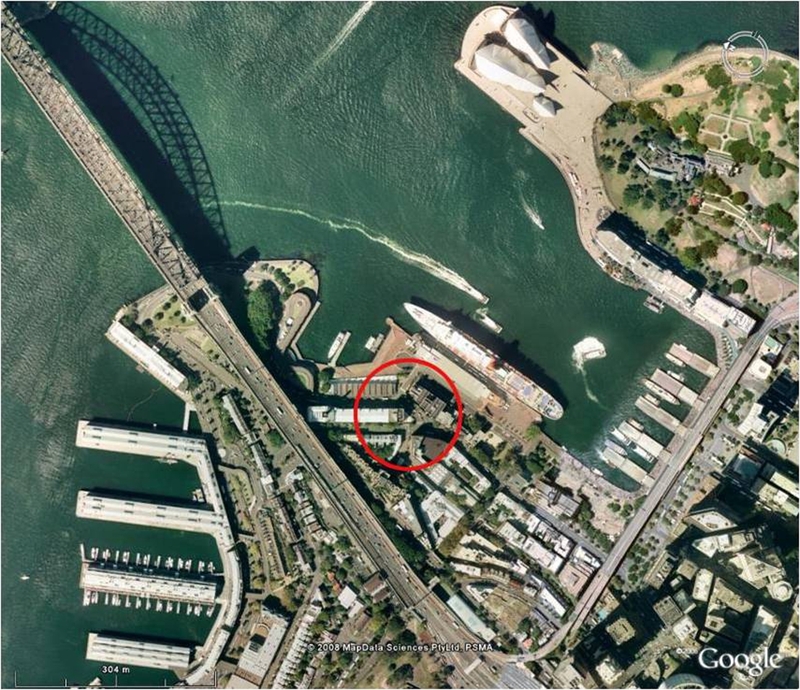 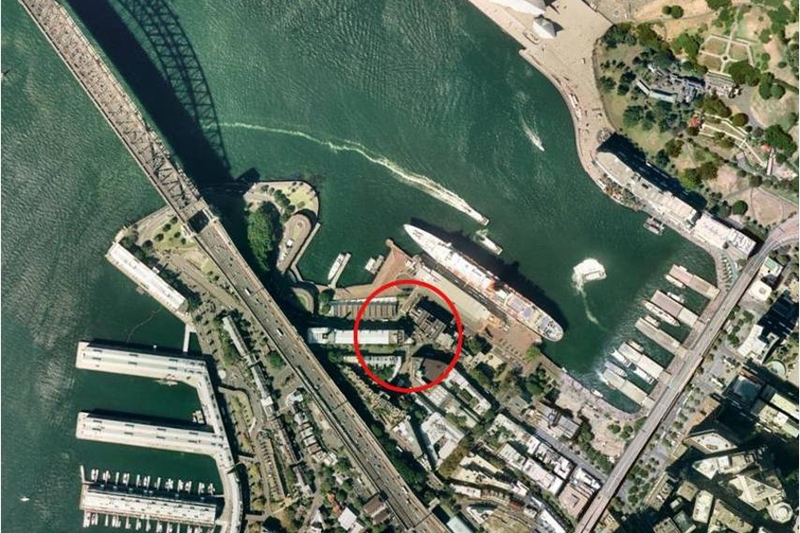 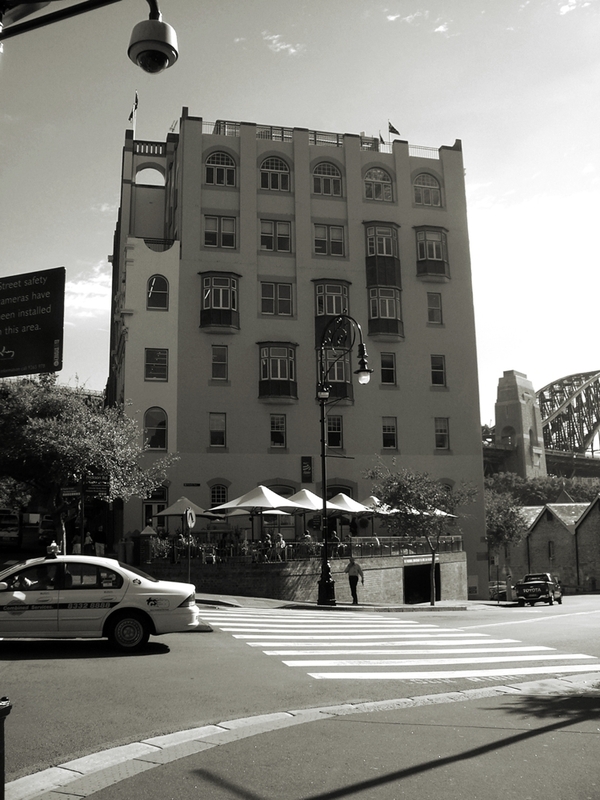 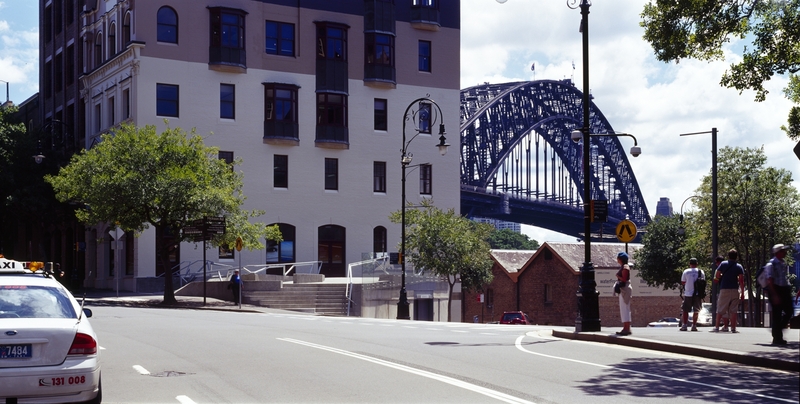 While the materiality of this canopy ties it to the Harbour Bridge and other steelwork interventions in the Rocks, its scale renders it with a "toy"-like quality. 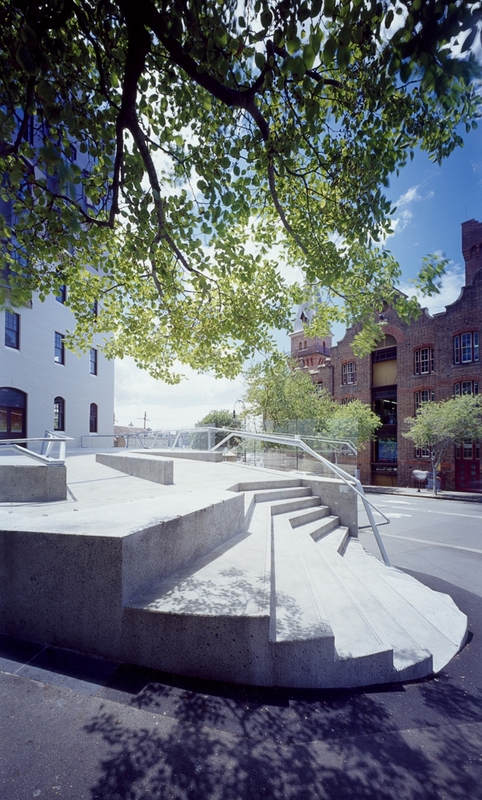 In November 2008, 86-88 George St was awarded the Environ BPN Sustainability Award for large commercial projects. 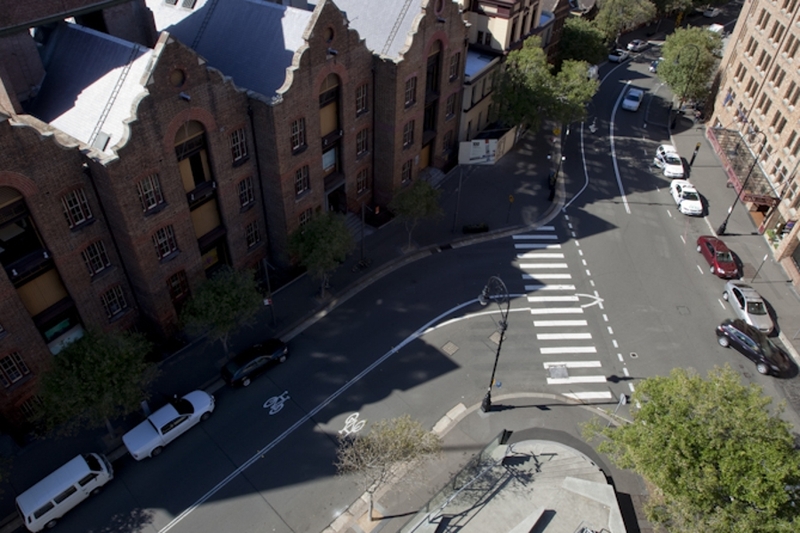 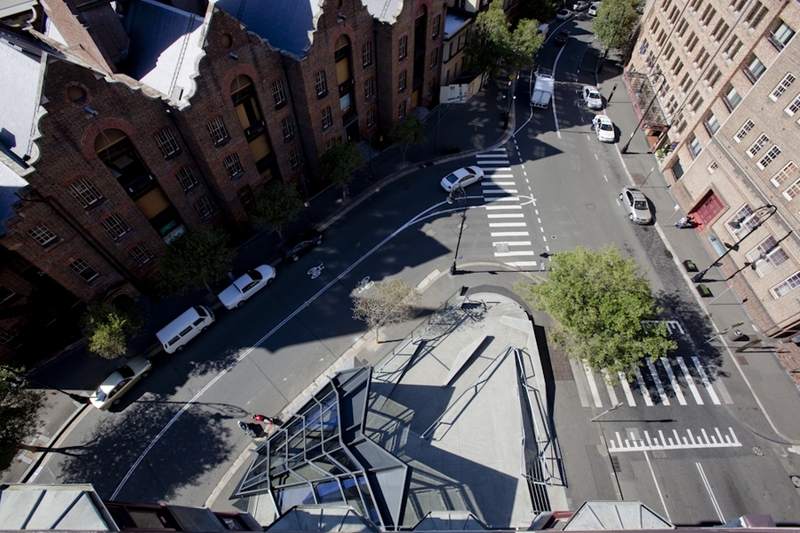 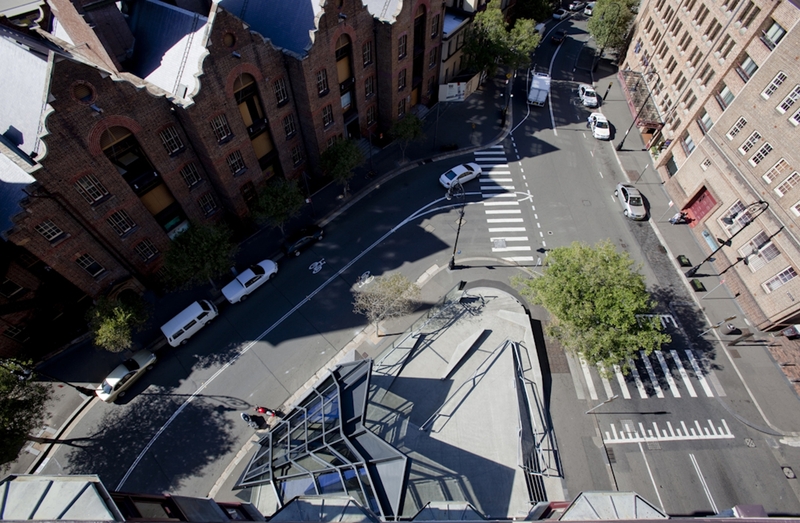 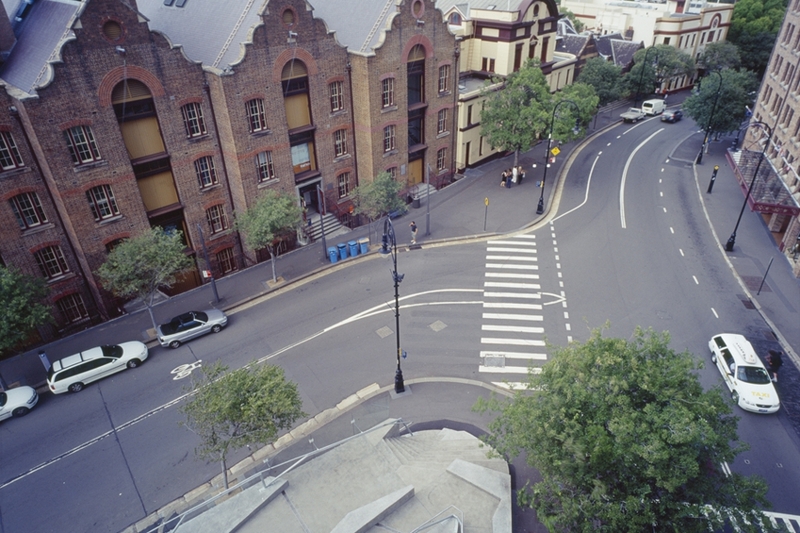 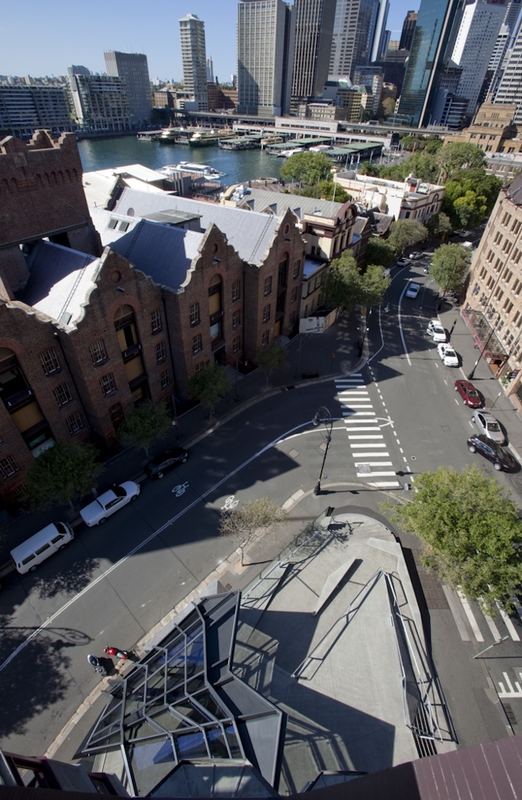 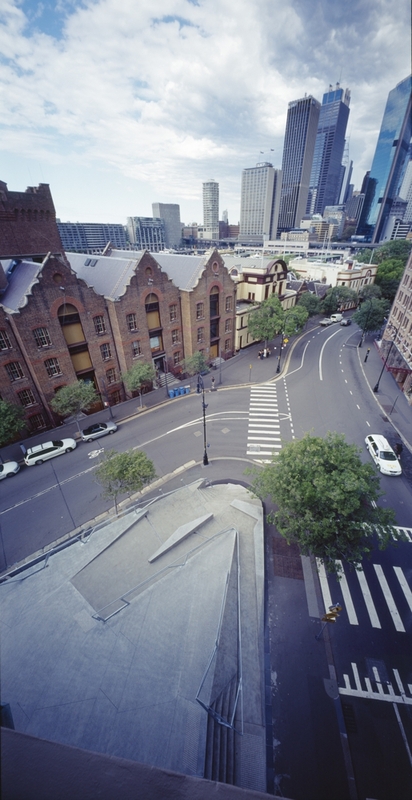 In April 2008, 86-88 George St was awarded the prestigious Energy Australia National Trust Heritage Award for Conservation Energy Management. 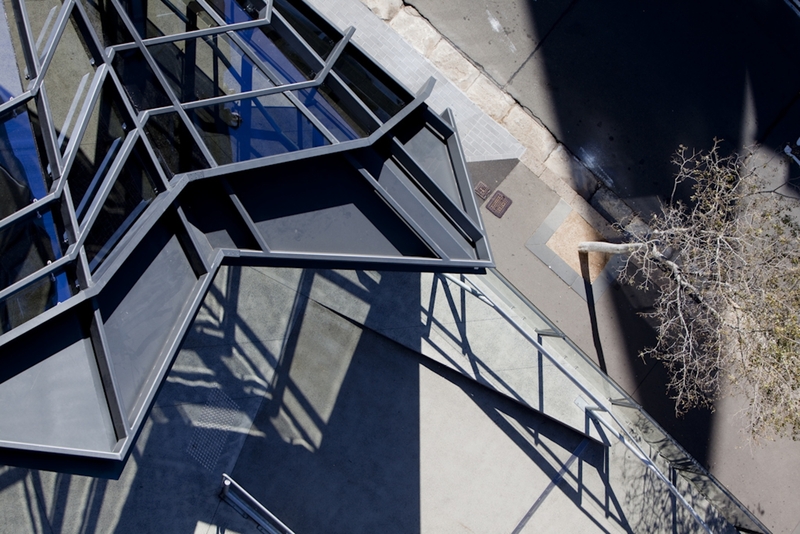 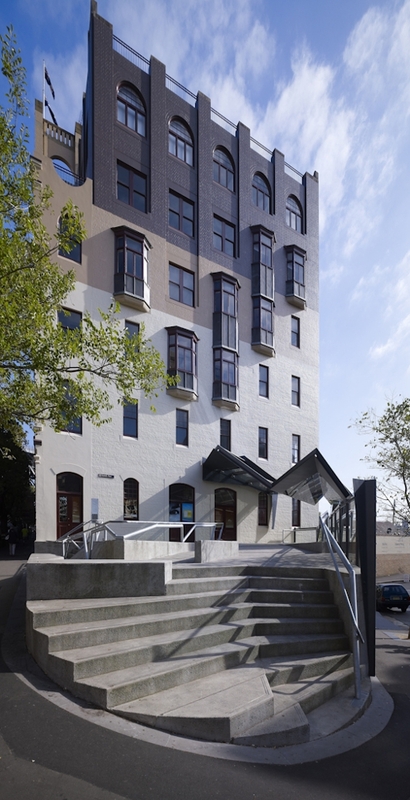 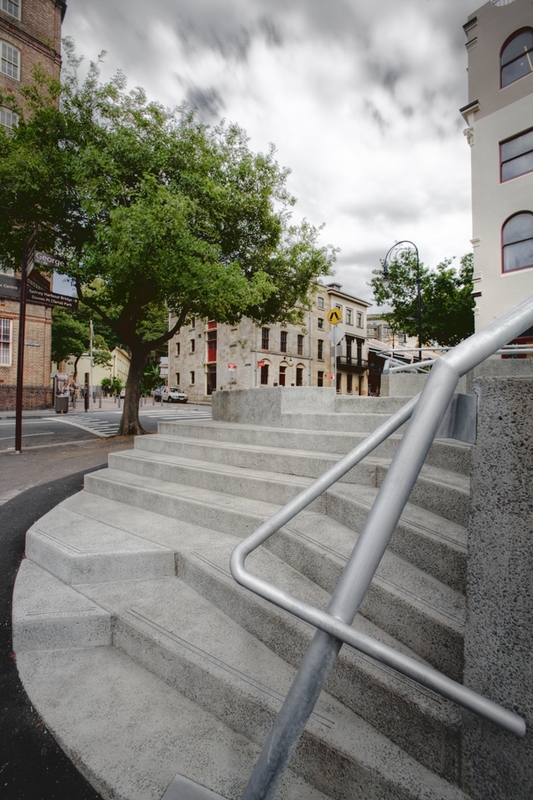 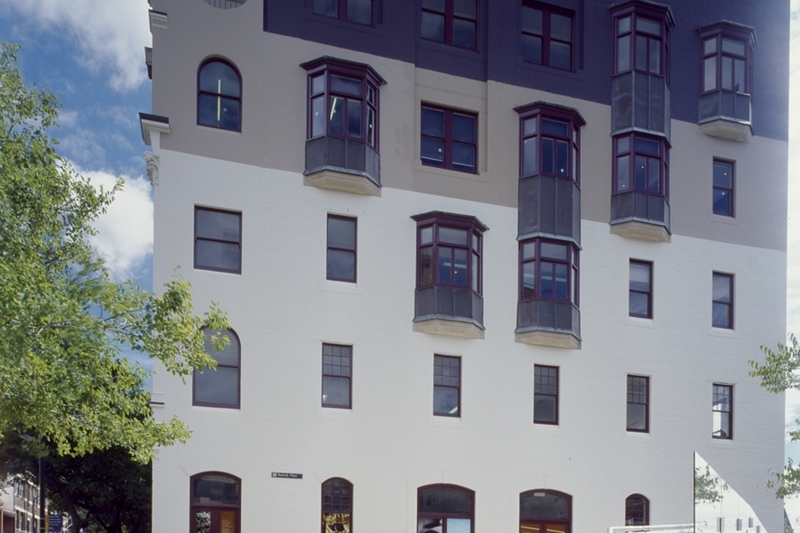 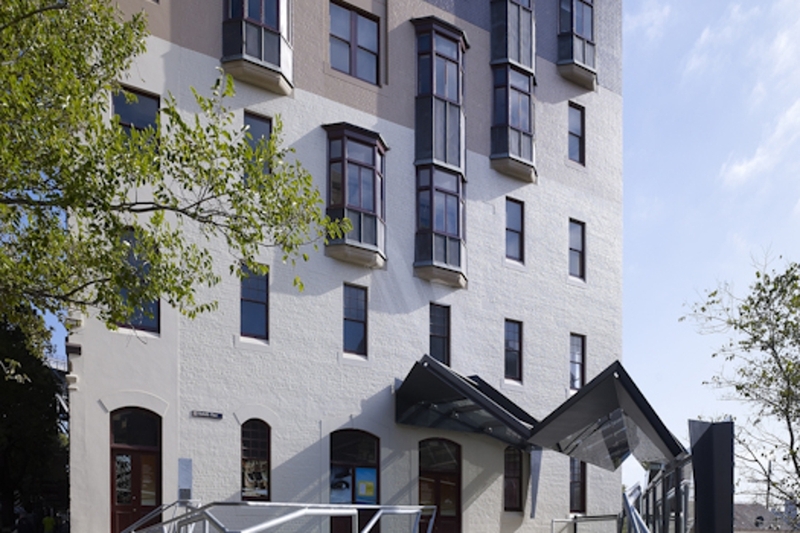 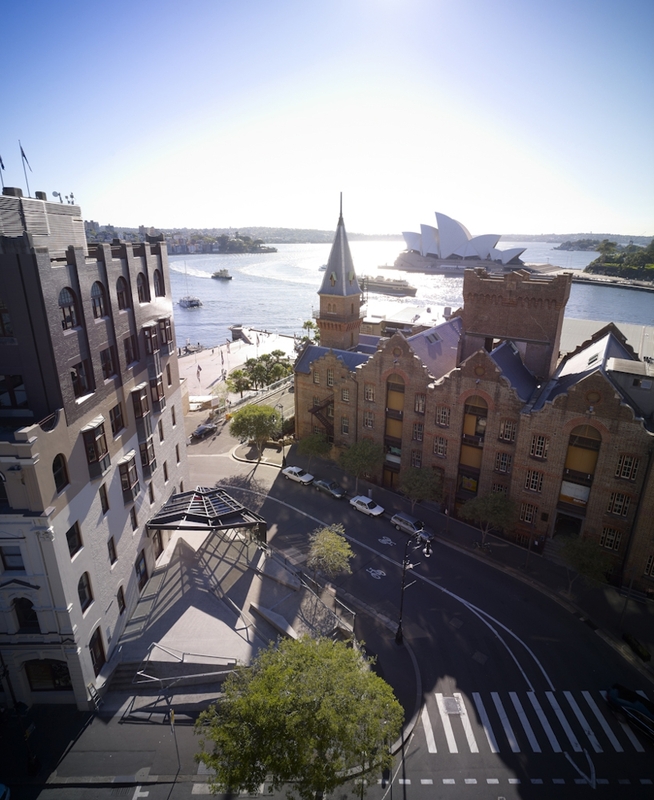 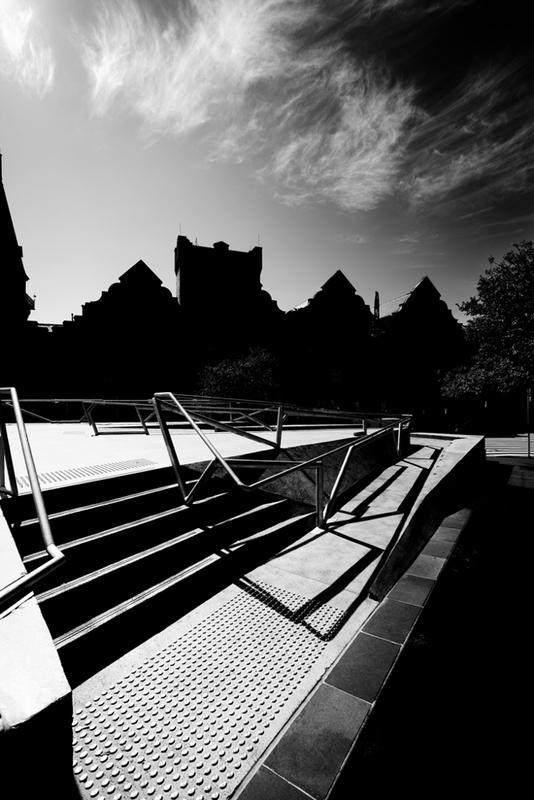 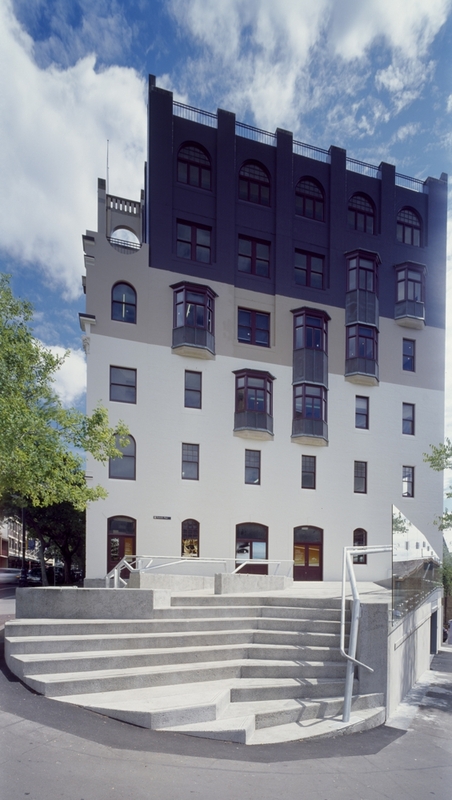 In December 2007, 86-88 George Street was acknowledged by the Green Building Council as the first State heritage listed building to be awarded a 5 star Green Star office design rating. 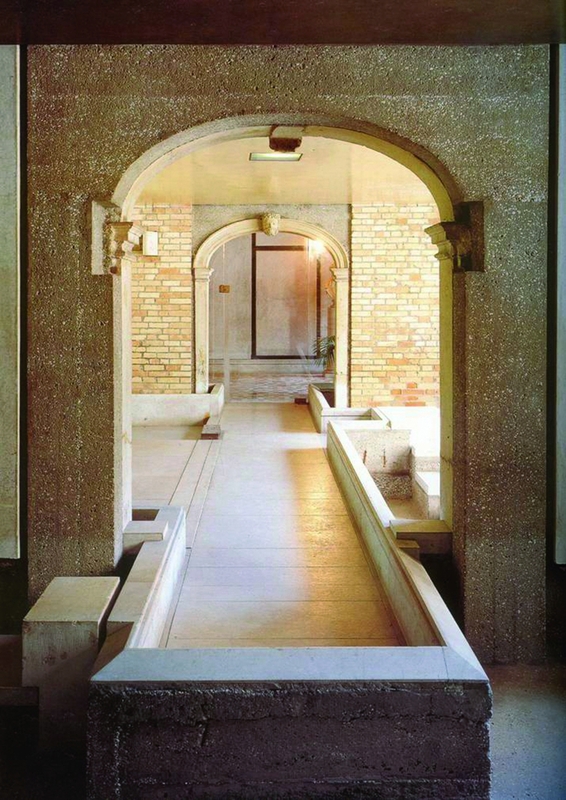 Image of 'Carlo Scarpa's Fondazione Querini-Stampalia' courtesy of Klaus Frahm/artur architekturbilder.